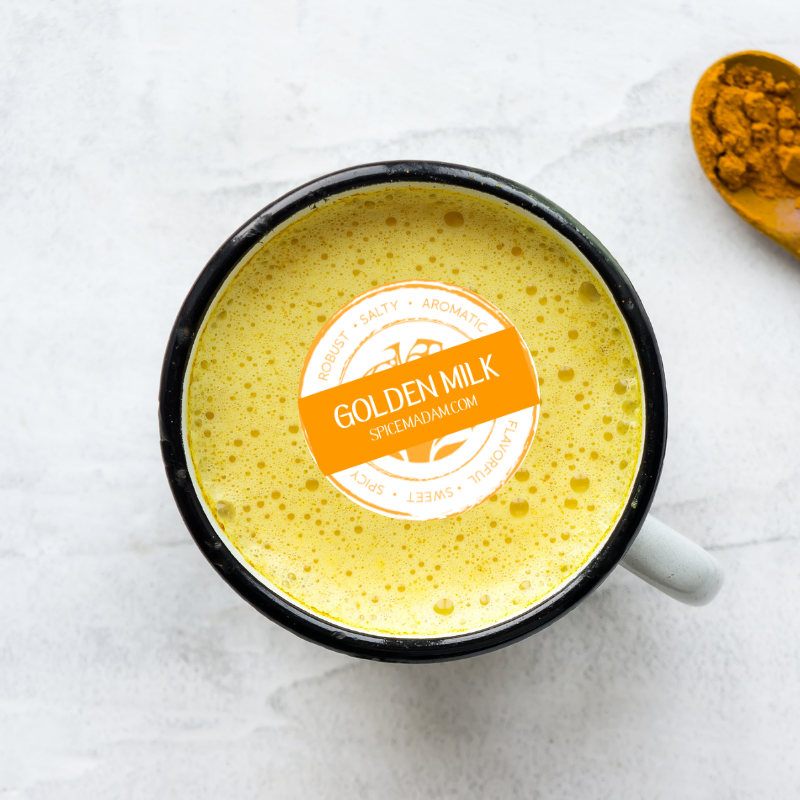 Golden Milk Blend is made of Ground Turmeric, Vietnamese Cinnamon, Black Pepper, and Ground Ginger. This nourishing blend is tasty and healthy - simply mix a teaspoon into a cup of milk of your choice and add honey to taste. Golden milk has been present in Ayurvedic medicine for centuries. In Hindi, it is known as “haldi doodh".